I feel the need to clarify the focus of my content on anxiety disorders as opposed to just being anxious about things. A quick chat about the difference and why my approach is what it is. I briefly discuss different classes of therapies and how they apply to each situation. Jackie suffered from panic attacks and anxiety for years until she had a “lightbulb moment” and turned the corner. Join me as I chat with Jackie about how she went from the depths of anxiety to a normal life. Thanks for sharing, Jackie! What nobody wants to hear when it comes to overcoming anxiety and panic related problems. There’s a large scale commitment/decision you MUST make before you can start making real lasting forward progress. If you can’t make this choice at the macro level, you’ll struggle with consistently making good choices day-by-day as you handle your anxiety problems. Comments and questions always welcomed, and please join our Facebook discussion group! A little story about having a panic attack while out on a bike ride and how each of us faces a moment of decision when that happens. What will you do? How will you handle it? What is your plan? The decision we make at that moment is impactful in so many ways both short and long term so I took 15 minutes to talk about it. I hope it’s helpful in some way. 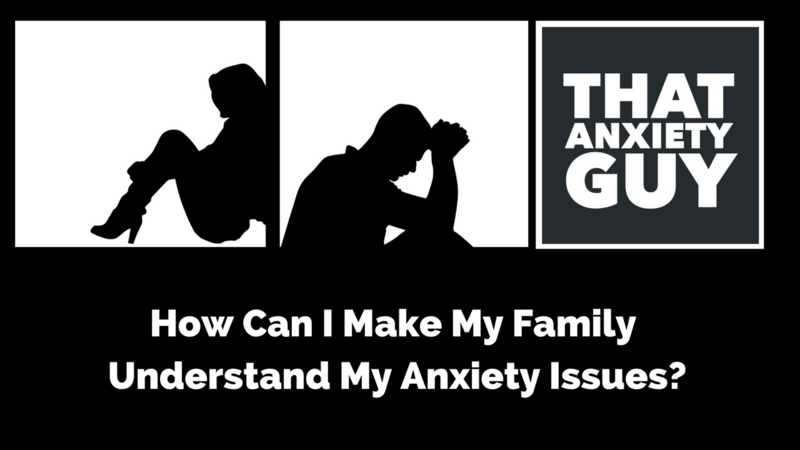 How Can I Make My Family Understand My Anxiety? This is a topic I get asked about all the time, so lets talk about what to do when your anxiety has a negative impact on your relationships. How can you approach family members and friends to get them on board with what you’re up against? This probably isn’t the way you would expect me to address this topic, but I believe strongly that the approach I’m talking about is the correct approach. Coddling, enabling and accommodating are not helpful to us in the long run so we really should not want our friends and family to relate to us that way. By explaining your fear but also taking responsibility for your actions, and committing to do the work required to improve things, we can often gain the support of the people most important to us. Holly and I discuss chapter 8 of the Claire Weekes book “Hope and Help For Your Nerves”. Dr. Weekes explains agoraphobia and walks us through how to approach it for best result. 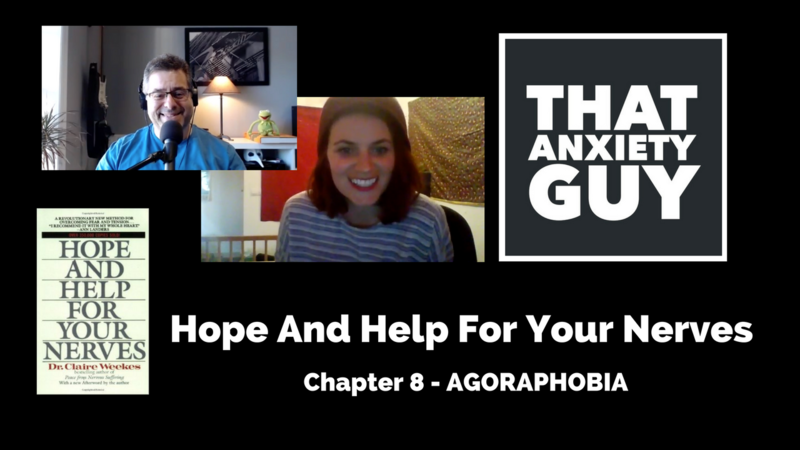 Holly and I spend a while talking about how we overcame agoraphobia and what difference its made in our lives. Find the entire Hope and Help For Your Nerves video series here. Holly and I discuss chapter 7 of Hope and Help For Your Nerves by Dr. Claire Weekes. This chapter really focuses on understanding that you are afraid of how you feel, and that focusing on sensations and symptoms is counter productive. Rather, focus on how you react to those sensations and symptoms. Don’t add what she calls “second fear” to that initial flash of “first fear”. Social media and the Internet have had a major impact on those of us with anxiety disorders. In this episode Billy and I discuss different ways the Internet has influenced anxiety issues. We look at positive impacts, negative impacts, and pitfalls that should be avoided.